The Power of Political DaughtersWhy Ivanka and Chelsea are such important advocates for their parents. All Samantha Bee Needs to Conquer the Political Conventions Is a Cozy AirbnbVulture’s correspondent Liz Meriwether caught up with the Full Frontal host in Cleveland. Donald Trump Is Now Leading in the Polls Some predicted he wouldn’t get a bounce following a turbulent RNC. But he did. And now he’s polling ahead of Clinton. Ivanka’s RNC Dress Was From Her Own Line — But It Wasn’t Made in the U.S.Note to Ivanka: Manufacturing a clothing line in the United States won’t necessarily hurt your bottom line. 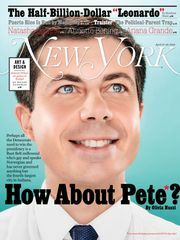 Trump Embraces LGBTQ Community, But Only As a Weapon Against IslamDon’t be fooled by his pro-gay sound-bites. The Snapchat Wars Began With Trollish Hillary Filter at RNCOuch. Ivanka’s Right About Women, Wrong on Dad’s PlanThe evidence shows Trump himself, and certainly the GOP, wants to return women to a subservient past. Peter Thiel Is Pro-Trump, Mainly Because He’s Pro-TrollingHis speech at the RNC didn’t make any sense, and that may be the point. The Christian Right Has Surrendered to TrumpSo recently an electoral and ideological fountainhead for the GOP, Evangelicals have given themselves over to a Philistine. What’s at Stake in Donald Trump’s RNC Speech TonightHard to know what to expect when a pol who famously likes to improvise delivers the biggest speech of his life in Cleveland tonight. 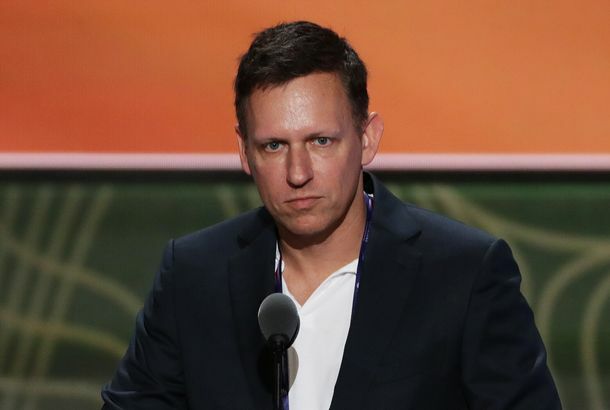 Maybe Peter Thiel Just Wants to Make MoneyFor the all the speculation about the tech billionaire’s reasons for supporting Trump, the answer might be right in front of us. Will the Conservative Resistance to Trump Fade or Grow?Normally, party dissidents get with the program sooner rather than later after a nominating convention. Hard to say if that will happen with this year’s GOP. You Did Good, Ted CruzIf anyone has ever said those five words before, it wasn’t me. But here we are. Hey, Ivanka Trump: This College Student Found Your Missing EarringA student says she found Trump’s earring on the floor at the RNC. Trump Campaign Forgets Real Audience Not at RNCSure, every partisan political-convention crowd needs a little red meat to keep the energy level high. But this is ridiculous. Tiffany Trump Tasked With the Impossible: Making Her Father Seem HumanHer speech contained just two personal anecdotes, and both were kind of sad. Scenes From Cleveland on Day 2 of the Republican National ConventionProtests continued as Donald Trump officially became the nominee. GOP Formally Nominates Trump, in Weird FashionHe finally got it. But there were gaffes along the way. The Party of Trump Doesn’t Have Much to Offer Bernie VotersYou figure that on “Economy Night,” they will try to find common ground. Good luck with that. The ‘Hillary for Prison’ Meme Is Spinning Out of Control at the RNCWhy is it taking on the feeling of a Trump campaign promise? MSNBC Anchor Skewers Scott Baio for Sexist Jokes About Female PoliticiansLike that one time he tweeted a picture of Hillary Clinton in front of the C-word. 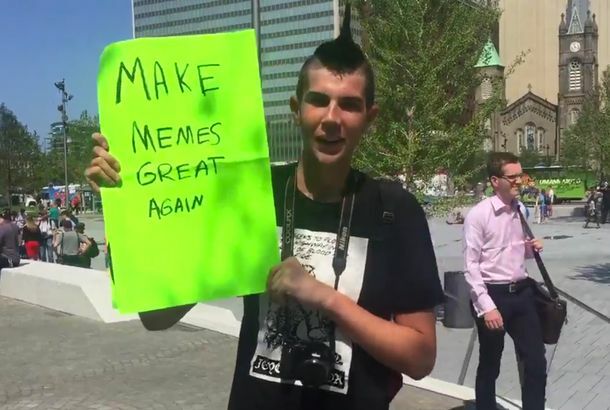 America Inspired by Teen Protester’s Call at RNC: ‘Make Memes Great Again’It’s time to make memes great again. CNN Chyron Roasts Antonio Sabato Jr.I see no lies here. Melania Trump Plagiarized an Entire Paragraph From Michelle Obama’s 2008 SpeechThe campaign admits her team of writers “included fragments that reflected her own thinking,” whatever that means. Motley RNC Protesters Show Just How Many Types of People Fear a Trump PresidencyThey’re outnumbered and disorganized, but they’re making their point. The Trump Campaign Failed Melania — and Not Just Because of the PlagiarismIf they had actually paid attention to Michelle Obama’s 2008 address, Trump’s speech wouldn’t have been so empty and meaningless. Scenes From Cleveland on Day One of the Republican National ConventionPeople voiced their opinions on Trump all around town. Trump’s Bid to Transform the GOP Into the Abusive-Daddy PartyRepublicans are counting on making this a “national-security election,” with voters trusting in the most violent president you can imagine.